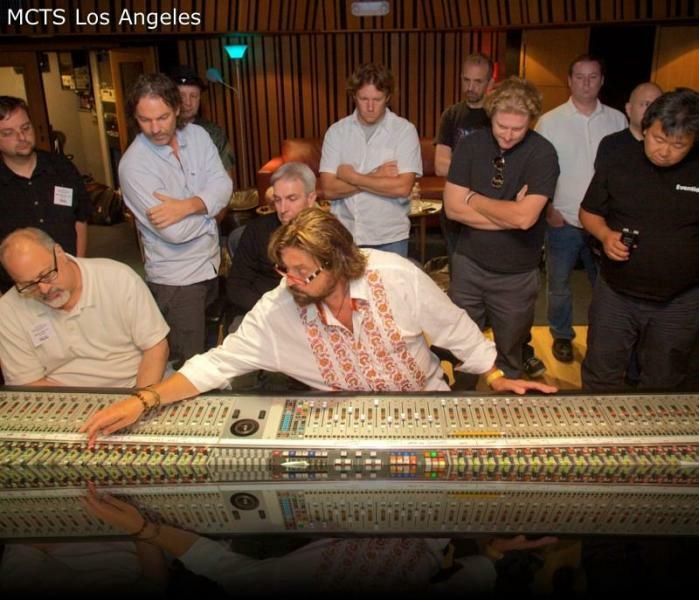 Attendees got to look, listen, learn and even perform with Alan Parsons at the action-packed Master Class Training Session on July 22-23 at the prestigious Village Studios in Los Angeles. The two-day event was based around the recording of a brand new song Do You Live At All< from Alan Parsons and writing partners P.J. Olsson and Guy Erez. The dream team of musicians included Vinnie Colaiuta (drums), Nathan East (bass), Rami Jaffee (keys), Michael Thompson (guitar) and singer P.J. Olsson. Sixteen Attendees participated in every aspect of the recording from setting mics on the drums to EQ-ing the grand piano. Nathan East demonstrated his new four figure instrument cables, Rami and Alan traded Leslie miking stories, Vinnie discussed studio playing dynamics and showed his beautiful vintage Gretsch kit in detail, and Michael Thompson wowed everyone with his giant, blinking recording rack and pedal array. With the live tracking session in the bag Day 1 concluded with overdubs including grand piano, electric and acoustic guitar, mandolin, and percussion. Day 2 began with vocals; Alan Parsons demonstrating a number of recording techniques including the singer monitoring the track on speakers and how to use reversed phase to reduce spill into the mic. With lead and backing vocals completed Alan led all the Attendees into the studio to record a choir track. “You guys sounded really, really good,” he pronounced at the reception in The Village’s theater at the end of the event. 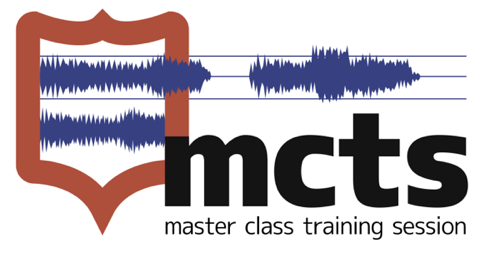 A total of 64 tracks had been recorded by the end of the session and Attendees got to take home not only the stereo mix but also a copy of the multitrack ProTools session. The chance to observe a recording session with Alan Parsons and A-list musicians would have been special enough. The Master Class Training Session in Los Angeles went several steps further, letting Attendees actually “Make A Record” with Alan Parsons – including being recorded by him! Throughout the event, Alan gave a running commentary on each procedure. Discussions for future Master Class Training Sessions are already in the works including the possibility of a follow-up to this event comprising a scientific study of mixing in-the-box and hands-on-with-hardware, conducted and studied side by side; looking not only at the audio results but also the psychological impact of the two approaches.